We are delighted to announce that SUSE Linux Enterprise Server (SLES) is now available in AWS GovCloud (US). Amazon Web Services and SUSE® have teamed to offer SUSE Linux Enterprise Server (SLES) on Amazon EC2, a complete, enterprise-class computing environment for running business-critical applications and workloads. SUSE maintains the base SLES images for Amazon EC2. AWS customers receive updates at the same time that updates are made available from SUSE, so your computing environment remains reliable and secure and your SLES-certified apps maintain their supportability. Launching a SUSE EC2 instance in the AWS GovCloud (US) Region is quick and easy using the EC2 Console Launch Wizard in the Management Console for the AWS GovCloud (US) Region. AWS GovCloud (US) is an isolated AWS region designed to allow U.S. government agencies, contractors and customers with regulatory needs to move more sensitive workloads into the cloud. 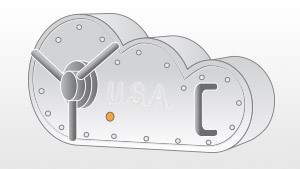 Please join us for our weekly AWS GovCloud (US) Office Hours every Tuesday at 1:00 – 2:00 PM EST and the Intro to AWS GovCloud (US) Region webinar on February 12th, 1:30 – 2:30 PM EST to learn more.